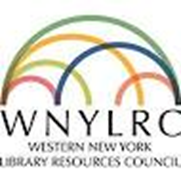 Western New York Archivists was formerly known as Religious Archivists of Western New York. It was organized for archivists of religious collections, but as the group developed, other special archival repositories have been incorporated into the association. These collections include records of educational institutions, religious bodies, and social services such as colleges, dioceses, religious communities, hospitals, etc. located on the Niagara Frontier. WNYLRC is located just east of the airport on left if you're leaving the city.